during the wedding day. 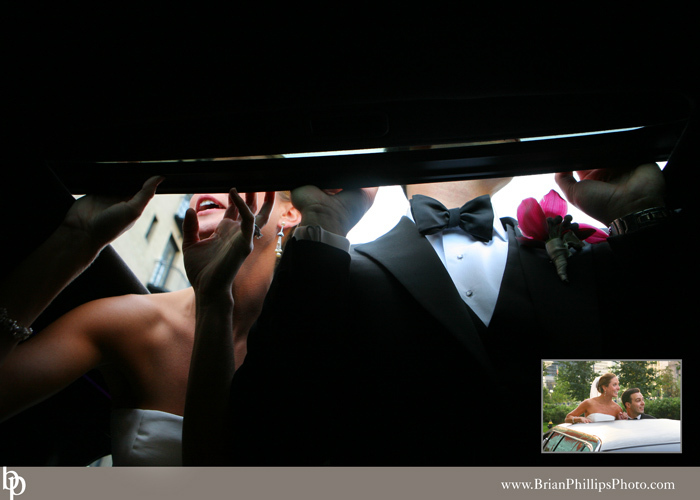 So when the Bride and Groom decided to peer thru the limo's sunroof, I had no choice but to shoot up at them. I think the expression on the brides face and the gently placed fingers on the edge of the sunroof opening helped make this picture work. What do you think? Leave a comment for me :-). Outside shot of Bride and Groom taken by M.